Car drives through front window of Embody Gourmet Fitness in Darien, Conn. on Sept. 21. DARIEN — Ben Bliss, head of operations for Embody Gourmet Fitness, was working at another store when he got a call from the Embody in Noroton Heights. “(The manager) gave me a call and said, ‘You’ve got to get down here as soon as possible because someone drove their car through the front of the store,’” Bliss said. 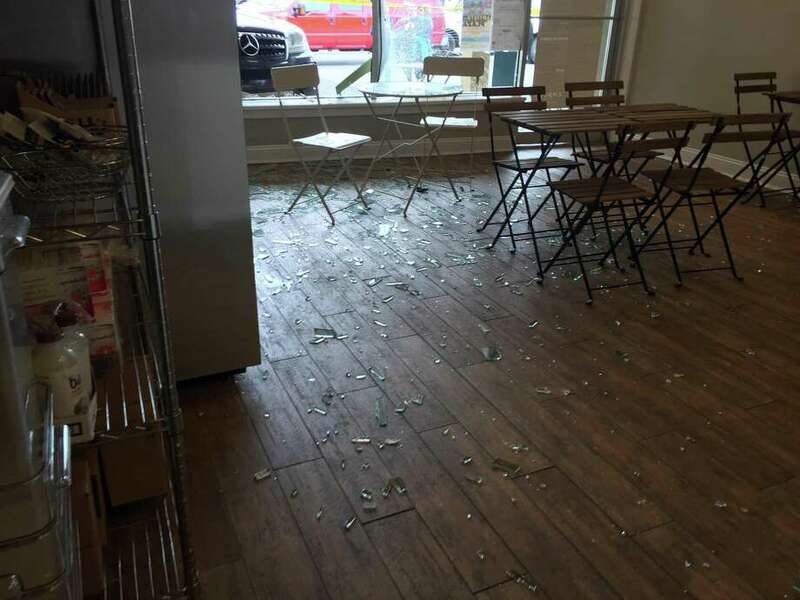 Around 12:35 p.m. Sept. 21, a 2006 Mercedes SUV accidentally drove through the front of the gourmet food restaurant on Heights Road, causing window damage to the front of the store. Police said the driver, a 79-year-old New Canaan woman, accidentally hit the gas while pulling into a parking space in front of the store. The car accelerated forward, striking a steel structural pole and the front of the store. According to Bliss, there were four people in the store. Police said no one, including the driver, was injured. Besides the shattered glass, Bliss said there was damage to the wooden ledges of the windows, as well as to the tables and chairs out front. However, curbside pickup continued once the store was cleaned up and safe and normal operations resumed the following day despite the boards over the front of the building. As of Sept. 25, repairs were still in progress. Both police and fire responded to the scene to ensure the building was stable in wake of the structural damage. Police said the accident under investigation but no charges had made against the operator as of Sept. 25.